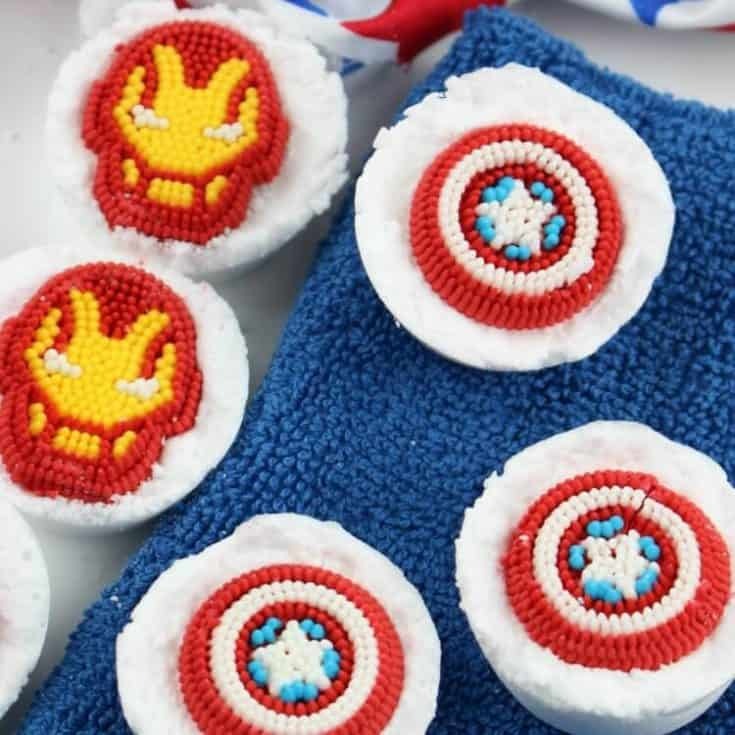 These Avengers bath bombs are going to knock the socks off any Avengers fan! And the best part is they’re SO easy to make. Just like all of our DIY bath products, we’ll walk you through it step-by-step. 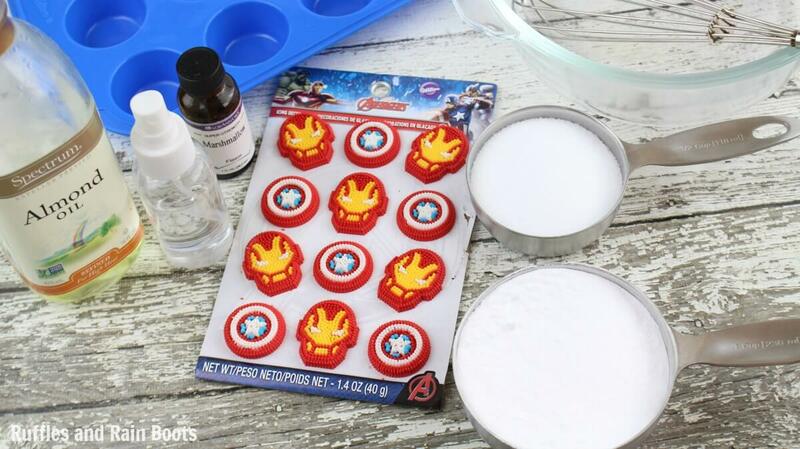 Let’s get started with this fun Avengers craft for kids. Because our kiddo has sensitive skin we have to make our own instead of buying those with added chemicals. You’ll be happy to know that these Avengers bath bombs are fully customizable (color and scent) and are sure to please the biggest fan! I know how it is – we plan and we plan but sometimes, we just can’t seem to get something together in time. Because I’m an Etsy seller, I am always on the platform. Below are some links to my favorite Avengers bath bombs to buy. For the Hulk fans, this peek-a-boo Hulk bath bomb is Hulk-Smash-tastic! If you really want to do it right (or see all of them), this Avengers bath bomb set is awesome. If you have a die-hard Spiderman fan, these are hand painted Spiderman bath bombs! We love to convert nearly every bath bomb we make into a shower fizzy, but I wouldn’t use these in the shower. The decoration, although it will dissolve, could come free and someone might slip on it. Safety first! Additionally, the recipes for shower fizzies are actually different from bath bombs. Go ahead and get the standard recipe for shower fizzies here. Tip: I’m going to warn you and say that if you are planning to use a metal muffin tin to make this fun bath bomb idea for kids, please reconsider. This recipe is best with a silicone mold because it’s going to dry and set in the mold for 24 hours. If you’ve never had to use a butter knife to remove a stuck-in-the-mold bath bomb, let me spare you the frustration. 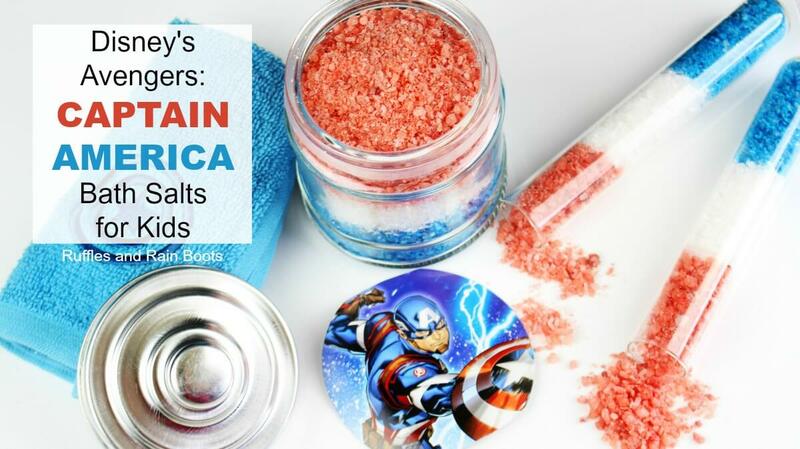 If you’re gifting these, consider whipping up a batch of Avengers bath salts, too. They are ridiculously easy to make and I will tell you, the kids LOVE THEM! Just a quick note: if you are using a colorant, we recommend a soap colorant (like this powder or this powder) in order to avoid turning the bathtub colors. #beenthere If you are using food coloring, opt for a pale shade or a pastel hue. 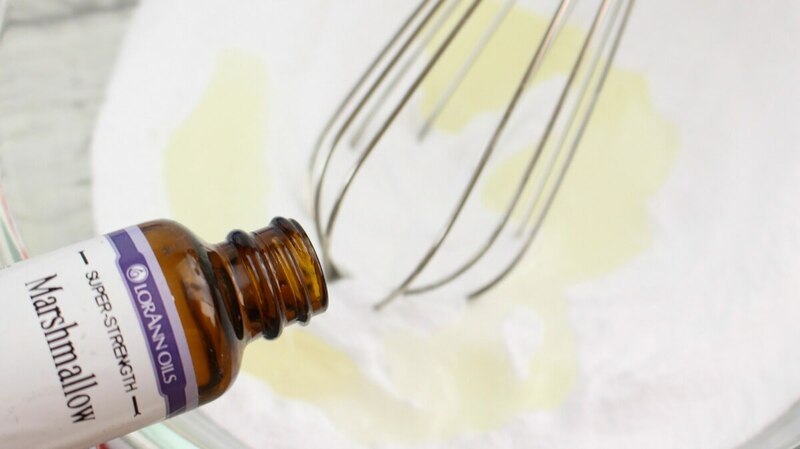 Using a glass or metal bowl, combine the baking soda, citric acid, almond oil, scent, and coloring, if using. Whisk together until incorporated. Add 1 tablespoon of water and stir. The mixture should clump together when squeezed. If it falls apart, add a 1/2 tablespoon of water and stir. Check the mix again. If you’re new to making bath bombs, this is the trial and error portion you’ll have to figure out. For example, if I’m making bath bombs in winter, I need less moisture added because there is moisture in the air. Seattle tends to be a bit rainy during that time of year. I can make the exact same recipe in July, however, and need to add the full amount of water in order to get a good mix. If you’ve added both tablespoons of water, spray the alcohol or witch hazel on the top of the mix and stir to incorporate. Start with 2-3 spritzes and check the mix. Once the mixture clumps in your hand, transfer it to the mini muffin silicone mold, filling each 3/4 full. Use your fingers or a tamper to tightly compress the mix. Spritz the top of each bath bomb twice to dampen and press a decoration onto each. Press firmly, taking care not to crack the icing decoration. 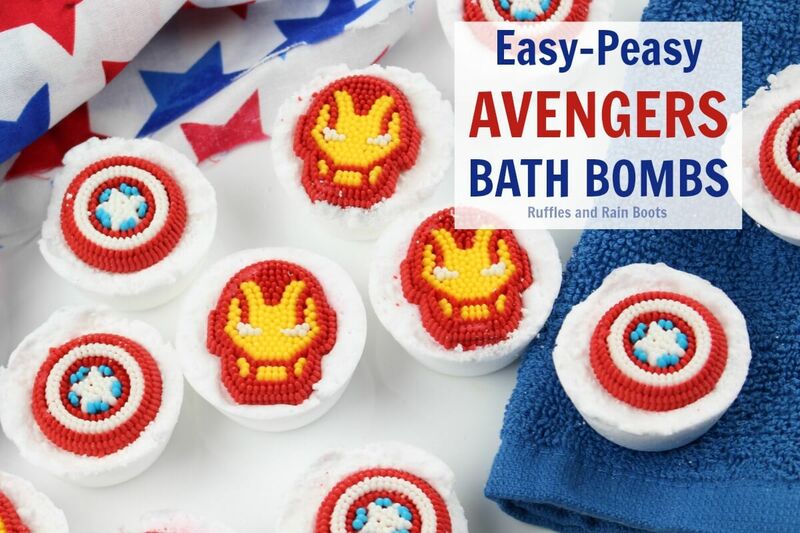 Iron Man is beaten up enough and we wan these Avengers bath bombs to WOW! our little fans. See image below. Set these on the counter and leave them stationary for about 24 hours. Gently remove each from their mold and store in an airtight container. 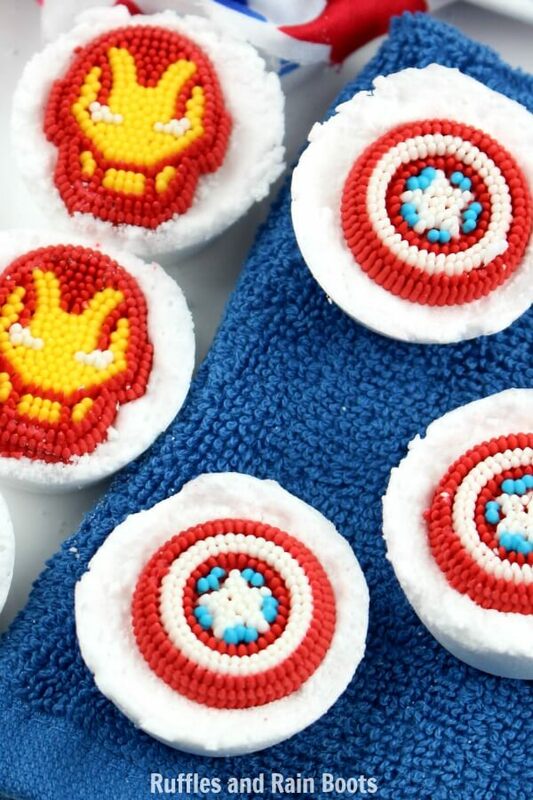 These Avengers bath bombs are going to knock the socks off any Avengers fan! And the best part is they're SO easy to make. 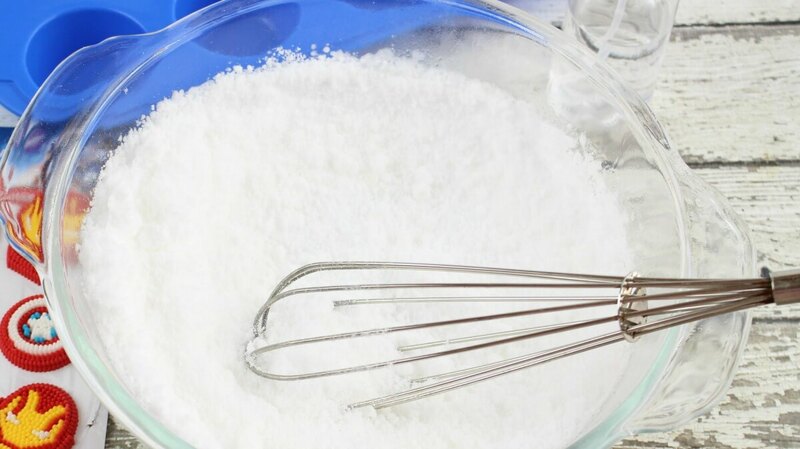 Using a glass or metal bowl, combinethe baking soda, citric acid, almond oil, scent, and coloring, if using. Whisk together until incorporated. Add 1 tablespoon of water and stir. The mixture should clump togetherwhen squeezed. If it falls apart, add a 1/2 tablespoon of water and stir. Check the mix again. If you're new to making bath bombs, this is the trial and errorportion you'll have to figure out. For example, if I'm making bath bombs in winter, I need less moisture added because there is moisture in the air. Seattle tends to be a bit rainy during that time of year. I can make the exact same recipe in July, however, and need to add the full amount of water in order to get a good mix. If you've added both tablespoons of water, spray the alcohol or witch hazelon the top of the mix and stir to incorporate. Start with 2-3 spritzes and check the mix. Once the mixture clumps in your hand, transfer it to the mini muffin silicone mold, filling each 3/4 full. Use your fingers or a tamper to tightly compressthe mix. Set these on the counterand leave them stationary for about 24 hours. Gently remove each from their mold and store in an airtight container. Who is the person in your life who would go bananas for these Avengers bath bombs? Speaking of going bananas, we go crazy with excitement when we see our fun projects shared on Facebook and Pinterest and sincerely appreciate when you share.